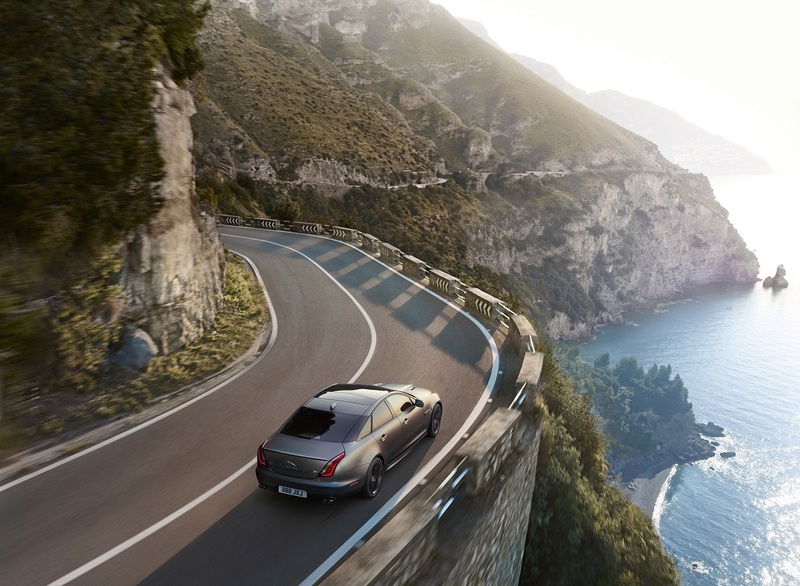 The XJR575 is not your regular luxury sedan. Get ready Jaguar fans — as part of the 2018 model year updates to the flagship XJ, the lineup is getting the addition of a new range-topping performance trim. Sounding like the codename for a ballistic missile rather than a luxury sedan, the XJR575 -- the last three numbers denote its horsepower -- features two unique colours mixed up by the folks at the Jaguar Land Rover Special Vehicle Operations (SVO) as well as body aero enhancements, upsized wheels, interior flourishes and a more powerful engine. Doing away with all the chrome accenting on the front bumper, the XJR575 instead uses a gloss black treatment for the grille and air intake surrounds for a cleaner and meaner appearance. The trunk features a subtle lip spoiler and below, quad tailpipes. Other differentiators include the gloss-black split-spoke alloys and red brake calipers. Behind the wheel, drivers enjoy diamond-quilted-covered sport seats featuring extra bolstering for extra support, and 575 is branded underneath the headrests as well as the dashboard and brushed aluminum door sills. Start up the car, and the familiar Jaguar Land Rover supercharged 5.0-litre powerplant, mated to an eight-speed automatic ZF transmission, rumbles to life. Engineers have done some tinkering to boost the output to 575 horses and 517 lb-ft of torque, good for a 0 to 100 km/h time of 4.2 seconds and a dizzying top speed of 300 km/h. 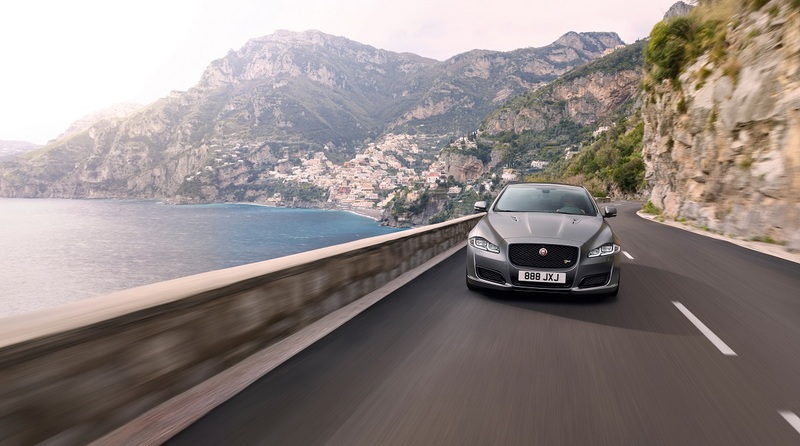 Also standard on the XJR575 is electric power assisted steering and a bundle of safety technologies like automatic emergency braking, lane departure warning and assist and a system that monitors driver fatigue.